Ideal to use in the classroom as a small group activity before going on a picnic. This resource can also be used as a ‘snap’ game or to create a vocabulary word wall. Print, cut and laminate the cards. Use as a ‘snap’ game, match-up activity or to create a word wall. What comes next? 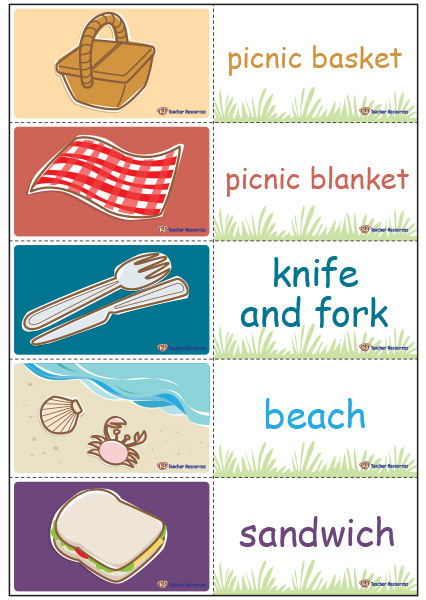 – Ask the children to write a simple sentence about going on a picnic by using the vocabulary cards.